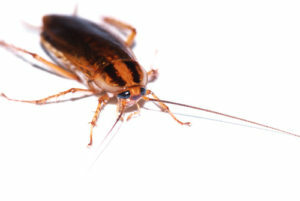 Cockroaches, are one of the most common insect pests in the Tulsa and Broken Arrow metro area. Roaches are repulsive and carry disease-causing organisms. A Professional Cockroach Service Plan is the best means of controlling these pests. Cockroaches are capable of mechanically transmitting disease organisms such as bacteria, which can cause food poisoning. Recent studies have proven that cockroaches have been found to be a high source of allergy in people, with only house dust causing more allergy issues. Even worse is the effects Cockroaches can have on people that deal with Asthma. A professional cockroach treatment service plan can help relieve some of this by reducing the number of cockroaches in the dwelling. Our services are available for residential and commercial clients in Broken Arrow, Tulsa, Jenks, Bixby and Coweta metro areas. When it comes to Cockroaches you need a Professional not the lowest priced run of the mill exterminator. The last thing you want is incompetence as that incompetent service tech will cost you money in the long run. If you have cockroaches you need a service provider that strives to be the best in the industry. A truly effective and efficient treatment plan that works where other’s fail starts with choosing the right company. Our plan uses a multifaceted approach with the best products science has to offer. Our competition doesn’t even come close! All these services assures you the most comprehensive and complete treatment available. It’s a flush out service to the extreme. This treatment plan is both aggressive in nature and provides quick relief or knockdown power. Combining a quick knockdown with the IGR baits helps curb reproductivity much faster than our competition can. How do we know this you might ask? Because we end up with many of their customer’s. All products EnviroTech uses are EPA approved and are of the highest quality. 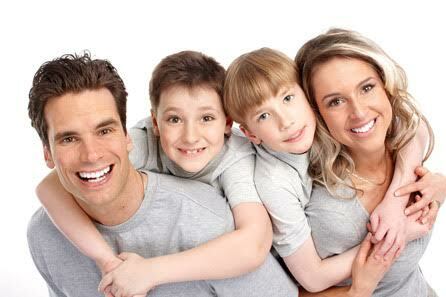 Our service will reduce the population levels and reduce reproduction levels. By using this multifaceted approach you can say goodbye to the roach problem. These tactics work very well and by using our “IPM” Integrated Pest Management plan, your cockroaches can be controlled as quickly as possible. Of course when it comes to cockroaches all infestations are different with some more severe. The level of cockroach activity will have much to do with how long the aggressive treatments will be necessary. Once controlled we begin a regular maintenance phase of services to assure you never have this problem again. With cockroaches combining or treatments and proper sanitation is the best way to control these pests. EnviroTech will be happy to inspect the property, advise on issues found and provide the proper treatment services the structure needs. We do however reserve the right to cancel any treatment services for those that fail to follow our plans directions. Sanitation is of the utmost importance when trying to gain control of a cockroach problem. For these reasons all the pest control alone cannot fix a situation where the structure is not kept sanitary. We request the property be kept tidy and clutter free. Cockroaches typically become established in homes after being introduced in grocery bags, garage sale items, laundry or in some cases, from outdoors. Cockroaches are prolific breeders capable of producing several thousand roach offspring in a single year. 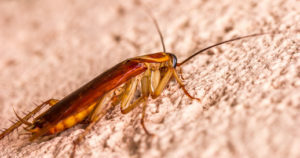 Unlike many household pests, cockroaches are prevalent year-round, causing homeowners and businesses to eventually seek some form of pest control for these disease spreading pests. Cockroaches don’t go away without being exterminated. Like most pests cockroaches are continuously looking to infest homes, food service establishments and other structures that provide food, water and shelter. These pests have changed very little in their over 400 million year history. Cockroaches need the same essential things people need. Once cockroaches are in the home getting an infestation under control can be difficult. EnviroTech has the knowledge and skill to get roaches quickly controlled. In most cockroach infestations, multiple treatments will be necessary. Our multifaceted approach to cockroach treatment assures you of the quickest control possible. Less foul odor from dander and a more inviting atmosphere due to the reduction of roach population. EnviroTech Exterminating is locally owned and operated in Broken Arrow, Oklahoma. Our pest control services are provided in the local Broken Arrow, Jenks and Bixby metro areas. Call (918) 282-7621 To Schedule Service.